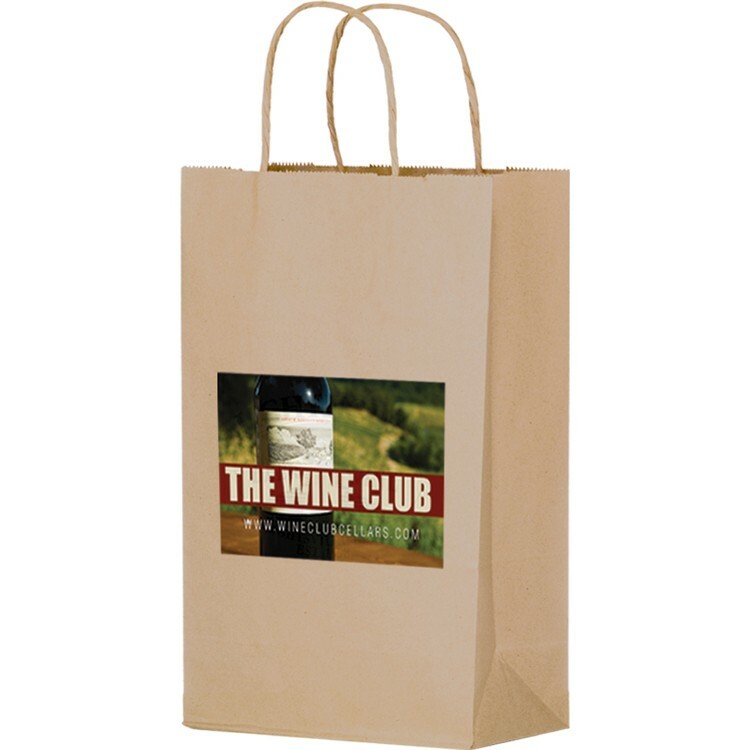 Add your logo to this natural kraft 2 bottle wine bag for a notable advertising campaign. Using our "Color Evolution" 4 color process heat transfer, it’s a great way to spruce up this paper bag! Bag price includes one four-color process transfer label on one side. 250 per case @ 25 lbs. • Maximum Artwork Imprint Area: 5" wide x 6" high on each side. • Second side run charge is $1.56 (A).